Are you worried about dealing with the harmful chemicals sprayed on crib mattresses? Then, this organic crib mattress reviews and guide may be all you need. We will help you discover the non-toxic and organic crib mattress for your baby. As a parent, have you ever thought of the ridiculous amount of various chemicals that are sprayed on crib mattresses? If you haven't, you're not alone. Many of us parents at times do not seem to care about this. It is no wonder that so many Americans, 97% to be precise, has one or two of these chemicals in our bodies. At the point of production, mattresses are sprayed with various chemicals to meet the United States Flammability Standards. While trying to do this, a lot of the chemicals being used are quite harmful to the body. And to think that beautiful babies have to put up with this, it's quite alarming. One of those chemicals in use includes Chlorinated Tris, a well-known carcinogen that had to be removed from infant's clothes in the 70s. They also incorporate the use of other flame retardant chemicals such as Firemaster 550, TCPP, TCEP as well as TDCPP. Now, apart from being carcinogenic, they are also neurotoxicants that can impair fertility and neuro development. It may result in a reduced IQ level and hypersensitivity. Isn't it bad that our babies find themselves in such a dangerous situation at the very early stages of their life? The government has not stepped into this issue but is there a way to this? Yes, of course, the crib mattress organic offers a way out. There you will find the best ever crib mattress that you have been looking for so long. What is an organic mattress? What makes it organic? How do you get the best out of it? All your questions are answered in this mattress reviews. The name says it all. Rather than being made from synthetic materials and various chemicals, organic mattresses are made entirely from natural materials. It is made of organic cotton, organic wool which are cultivated naturally without the application of pesticides. While that is the material aspect of organic crib mattresses, they are not sprayed with chemicals. Not even at the time of production like other mattresses do. They use natural flame retardants to meet the flammability standards. This means that contact with off-gassing harmful chemicals does not mar the average 12-hour sleep of your baby. We'll explain more about this later in this mattress reviews. Our reviews will start off with the Naturepedic No-Compromise Crib Mattress. It is arguably the Best Organic Crib Mattress out there. The first thing about the Naturepedic is its originality and naturality. Made from 100% natural products. Also made in the US and incorporates a 2-stage firmness technology that will easily keep it firm for a very long time. The mattress measures 27.75 x 52 x 6 inches. It is made from organic wool with an inner core of 150 coils to give it extra firmness. ​Made from organic cotton and has an inner steel spring core for firmness. ​The mattress is waterproofed. It prevents the absorption of food or liquids into the mattress. It also reduces the likelihood of germs and contamination. The inner core is enhanced with 150 coils to make it firm. There is also the edge to edge support which makes the mattress firm all around. GOTS-Certified, GREENGUARD-Certified, amidst certifications from other relevant regulatory bodies. Waterproofing helps against germs and contamination from liquids. Naturepedic is natural. Made from organic, non-toxic components. A steep price, but the quality is worth it. A little bit of heat retention could be better though. This organic mattress combines safety with comfort. It uses a high-density foam core of soy-based material to provide firmness along with its use of other organic materials. It is wrapped with a natural wool cover, making it a perfect crib mattress for infants. 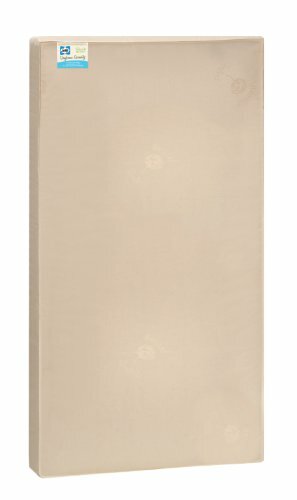 The Sealy Soybean Serenity Mattress is lightweight, only 9 lbs and has a dimension of 52 x 28 x 5 inches. At the time of production, it does not use any of those harmful flame retardant chemicals. Such TCEP, TCDDP, formaldehyde, phthalates, mercury, lead, and the likes. Thus it is the safest crib mattress in our reviews. The foam core is made from a soy-based material, add this to the wool fabric which covers the foam. It gives the bed a toughness that can't be boasted by many. It not only ensures your baby sleep safely, but also they sleep sound and comfortable. It is a waterproofed mattress with the Crypton Clean Sleep Technology. Crypton is GreenGuard certified and guards the mattress' sleeping surface against allergens. 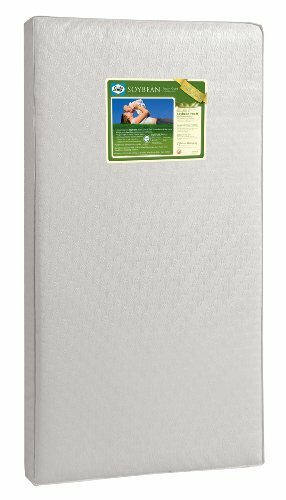 This baby mattress is GreenGuard certified and has passed a lot of other vulnerability tests. It is no surprise it met and exceeded requirements because of made from naturally occurring materials. The mattress weighs only 9 pounds which is beneficial as it makes changing the bedding easy. It is tear resistant and lock-stitched. Thus it prevents liquids and odors from being trapped in and absorbed into the foam. Easy to maintain the mattress because of lightweight. It is both tear and stain resistant. Appropriate firm for a comfy sleeping experience. It has all the qualities to be the best in our mattress reviews. The only thing so far has been the price which is a bit on the high side. But, this is justifiable if you consider the technology and quality it took to produce this. The Emily mattress, made from purely organic wool and cotton. So you have no worries about polyurethane foams and its other harmful company of friends. Emily is one of the best crib mattresses. It features a core enhanced with spring making it easy and comfortable for babies to roll on. This mattress comes only in one size and measures about 27.5 x 52 x 6 inches. The mattress is made from wool and cotton and being natural is synonymous with relaxation. Even your t is straightforward to clean and maintain. Natural and free from chemicals. Baby won't scream how comfortable he or she is if you get it for him or her. You’ll surely notice the comfort in how sound he/she sleeps and how rested he or she appears to be. Along with the natural cotton and natural wool, the core of the mattress is further enhanced with 150 firm spring coils. It gives the mattress added stability. Would it surprise you that this mattress has a warranty of ten long years? Not at all, because it's a worthy contender for the coveted title of the Organic Crib Mattress. The inner core of 150 spring of tight coils adds to the weight but more beneficial to the durability. Unlike your average mattress, this baby mattress does not keep heat. This is partly due to the innerspring core and the soft wool from which it was made. With this bed, it is more fun, more comfort, and much safety without compromise. This mattress is double-sided for an easy change if need be. Made from natural materials, thus it is a non-toxic crib mattress. Appropriate firm for a comfortable sleeping experience. No heat retention, meaning more comfort all around. Lengthy warranty period as confidence for durability. Price is on a high side. May sag if there is no adequate support base. This 17 lbs package of greatest comfort measures about 28 x 53 x 4 inches in dimension. Nook Sleep Pebble Lite is the best crib mattress. Why? Because it is made from organic, Eco-friendly materials with a guarantee that your baby sleeps comfortably. It gives comfort without worrying you about chemicals off-gassing all around. The outer fabric is pebble-designed coming in several beautiful colors. This pebble cover is zipped and removable. It makes the baby crib mattress so easy to clean when the need arises. You only have to unzip the pebble cover and toss into the washing machine. This mattress is dual sided. It means it's possible to be used by toddlers and infants alike. ​The mattress has a highly comfortable non-toxic foam core. There is balanced air flow in this mattress partly because of the unique pebble-designed cover. Easy to clean since the pebble cover is removable & washable. Breathability is perfect because of the synergy between the pebble cover and the foam core. Dual-sided to ensure continuous use after infancy. It is not waterproof, something the affordable organic crib mattress should offer. Some users noticed a strange smell oozing out of the new baby mattress. Sealy is famous and synonymous with innovations. The use of a high-density soybean-based material for their foam core has earned them plaudits and recognition. This particular Sealy crib mattress promises comfort and firmness, and it sure delivers. It is wrapped in cotton and has a dimension of 52 x 28 x 5 inches. This mattress could quickly pass for the Organic Mattress, how? The use of a high-density soybean core in the mattress, coupled with the cotton fabric in which it is wrapped offers top levels of comfort and firmness. Your little ones will get a good sleep always on this. Waterproofing to prevent liquid absorption thereby reducing the likelihood of germ contamination. It is also lock-stitched. The mattress is lightweight but will support loads of up to 60 pounds. It is easy to use. Sealy Soybean is GREENGUARD-Certified. It is also the Certi-Pur US certified, guaranteeing top levels of assurance for its use. Natural and free of chemicals. There is no off-gassing in the new product. Waterproofing makes life easier for you and your baby. Affordable organic crib mattress that fits the crib nicely. Some people find it a little too firm for babies. The Moonlight Slumber baby mattress is the next Organic Mattress in our reviews. There is nothing little about it. It's simply great. They are made entirely from medical grade fabric and free from any of the harmful flame retardants. It features waterproofing and unique knit, tight sewn fabric to guarantee protection against liquid absorption. The mattress is made from plant-based materials. It does not contain all the harmful chemicals that may be detrimental to the development of an infant. The mattress comes with two surfaces for maximal use. Your baby continues to enjoy the comfort and security of the Little Dreamer even well after infancy. The Moonlight Slumber mattress boasts a toughness that only the expert can claim. It is firm enough to give your baby a sweet, dreamy sleep. Since it is one of the superior mattresses, you'll expect it to have this, and it does. Waterproofing makes the cleaning easier. It protects against the absorption of liquids that would have seeped into the mattress. The durability of the little dreamer is not a doubt. It had passed a lot of tests aimed at ascertaining its level of performance and durability. It is no wonder it has a lifetime warranty to back it up. The mattress is made in and built to meet America's strict standards for mattresses. Even at that, it did not inculcate the use of harmful flame retardants to pass the flammability tests. It is both GreenGuard, and Certi-Pur-US certified. It is lightweight & easy to handle. The mattress is quite affordable. Moonlight Slumber is non-toxic crib mattress. It is a waterproof and well certified mattress. Some people feel it's too firm for infants. The Newton Wovenaire offers the highest quality mattress. It has some pretty good features to justify that. Made from naturally occurring components. It comes with a dual surface for both the toddler and infancy stage. It is entirely washable. The mattress does not incorporate any of those harmful chemicals into their products. 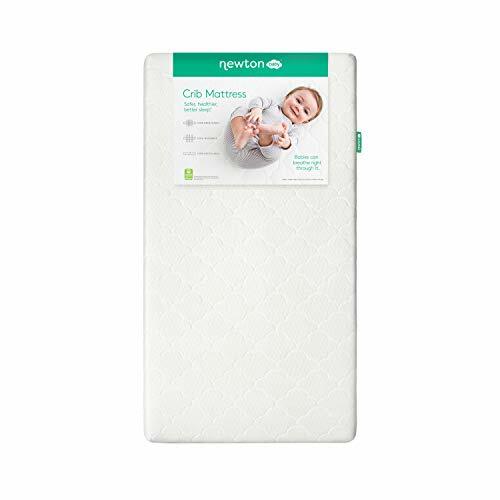 Newton Wovenaire baby mattress is also hypoallergenic. The baby mattress was made to ensure total breathability. It is to prevent against instances of suffocation or in other cases, overheating. The mattress still becomes useful even after your baby exits infancy. It has a dual-surface that is suitable for infants and toddlers. The mattress is waterproofed to make use and maintain easily. This criterion of this mattress is to reduce the accumulation of germ contamination. Newton is GreenGuard gold certified. The safety of your baby should never be compromised. Easy maintenance because of the waterproofed crib mattress. It is a comfortable, firm and the safest crib mattress. The mattress is waterproofed and well certified. Few people still consider the mattress to be expensive. The next thing in our organic baby mattress reviews is the Simmons Kids Beautyrest Mattress. What qualifies it as the Organic Mattress? Let's find out. This package of comfort weighs 26 lbs and measures about 52 x 27 x 6 inches. It is made from natural materials and has an inner core of 261 coils. The mattress provides firmness and edge to edge support for most comfort. It is both stain and water resistant and comes with a dual design for toddlers and infants alike. One more thing, it is proudly made in the USA. Made from natural cotton. An inner core of 231 stainless steel spring luxury pocketed coils to achieve adequate support and firmness. So, for stability and comfort, the Simmons Kid is your go-to crib mattress. Along with waterproofing, this mattress is also stain resistant. This ensures that it is relatively easy to maintain and keep it in top condition for the good sleeping experience for your child. Even though this mattress exceeded several performance and safety tests such as the notorious flammability tests, it still does not contain chemicals that may be injurious to the health of your baby. It can strike a balance between safety and efficiency. Do I need to repeat this? It is an essential factor for any mattress. This mattress is quite firm to guarantee supreme comfort for the baby with excellent edge support. How are these life-saving mattresses able to get these certifications? Being natural is what they are all about. The Simmons Kid Crib mattress is GreenGuard certified. Quite affordable organic mattress for crib considering the quality. The mattress is breathable too. Durable and safe crib mattress. The mattress has excellent edge support which gives comfort. 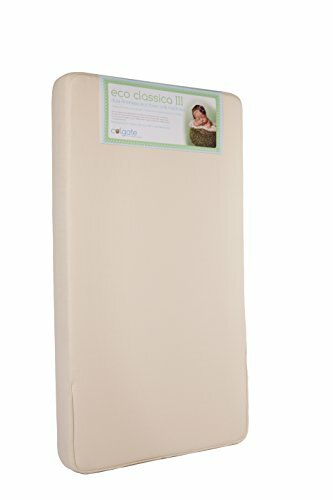 We call the Colgate Eco Classica III is another superior quality mattress for baby's crib. 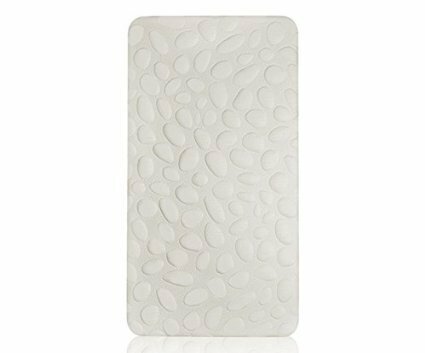 It is 6-inch thick orthopedic style crib mattress. 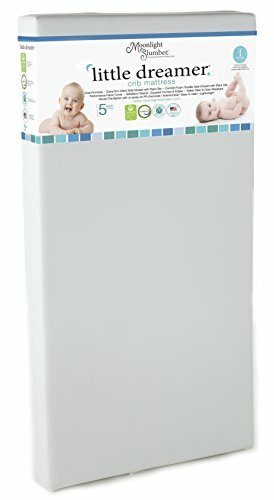 This mattress is suitable for both toddlers and infants. Need I say it is naturally made and devoid of those harmful flame retardants? All the Best Organic Crib Mattresses do, and so does the Classica III. The outer covering is made from natural cotton to soften the touch between the mattress and your baby's tender skin. The mattress has passed GreenGuard standard tests for more than 10000 compounds of high volatility. The mattress is made from plant-based cotton and foam. Free from harmful chemicals and flame retardants of several kinds seen in other inorganic mattresses. You know how useful this feature can be. The work doesn't just end in infancy. 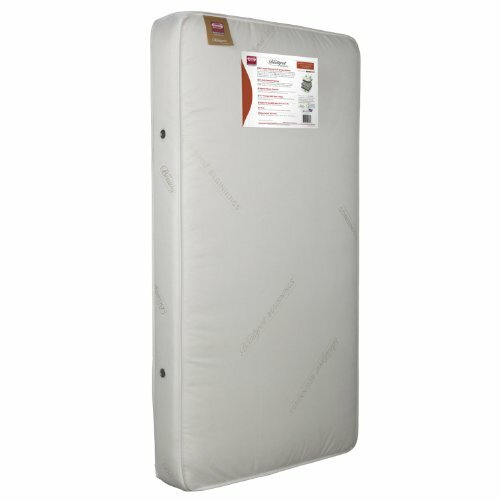 The mattress is lightweight, it weighs about 9 pounds and will support up to 65 pounds body weight. Colgate mattress seems simple, but it is more than a single layer of foam. The foam has six different layers all combining to achieve a result summed up in comfort and safety. They do it very efficiently. It is well certified. It means there is no question about the quality of the mattress. The seams are tightly knit and waterproofed. The mattress is suitable for easy cleaning and maintenance. The mattress has excellent support and fits into the crib correctly. It is suitable for toddlers and infants because of the dual side. Waterproofed and easy to clean. Stains may be hard to clean after they have set into the seams. The corners should have been squared, rather than being rounded. 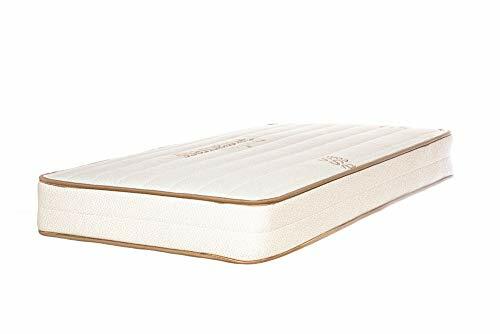 So far in this crib mattress reviews 2018, we've been able to share with you some great organic mattresses. The last but not least Crib Mattress Organic is the Safety 1st Heavenly Dreams Mattress. Let's check it out, shall we? This is a lightweight mattress, made from the safe and non-toxic material. It is wrapped in a vinyl cover that is easy to clean, and you can guess it...waterproofed. Made from Vinyl and a high-density foam core giving it maximum firmness and support. Weight: It is lightweight and weighs about 8 pounds. Safest crib mattress by its name and free from non-toxic components too. Wrapped in a vinyl fabric that is waterproofed to prevent liquid absorption into the mattress. Not so breathable compared to other Organic Mattresses for a crib. It also does not come with the toddler/infant dual sides. Right now, the perfect good deal you make for that baby is to get one of the organic crib mattresses. It will ensure not only comfort but also maximum safety. These types of crib mattresses are the safest for babies. Despite the fact that they could be costly and more expensive than the other models. The most important distinguishing factor in organic mattresses is that they are made from the natural stuff. They are not from synthetic materials along with a host of other harmful chemicals. Remember though, that not every mattress with the organic tag is actually 100% natural. Some have different synthetic parts, but the organic cover provides a kind of protection and certainty. This still cannot be gotten from the other types of mattresses. Organic mattresses are the optimal option for your babies. Because of other mattresses rather than organic are associated with deadly and dangerous chemicals. Organic prevents exposure to such threatening substances at such early stage of their lives. So, they are the ideal toddler crib mattresses. Innerspring mattresses are famous for their firmness and support. They can achieve this due to the high coil count in the interior. The cushion portion in these mattresses, made from recycled materials. The material is precisely known as PET and is recycled from used water bottles. PETs are the significant components of these mattresses that make them hypoallergenic. Foam mattresses are made from polyurethane of high density. The core usually is about 1.5 pounds per cubic foot. Anything lower than this would soften the core, and anything above this level will make it heavier. These types of mattresses are often light when you compare their weight with other the mattress types. 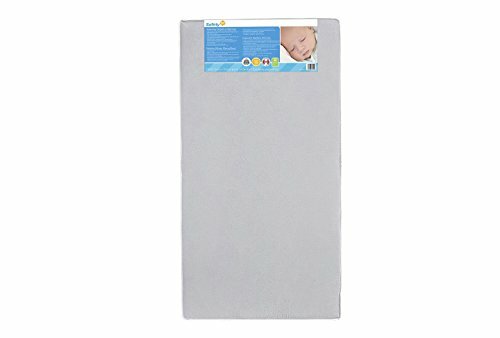 Organic Crib Mattress buying guide and what to avoid? You need to consider the following things when you buy Organic and natural Crib Mattress. Choose the environment friendly crib mattress for your baby. You do not want them exposed to harmful and toxic chemicals at the developmental stages of their life. An investment in their well-being and care is worth more the most expensive mattress on sale. Many of these chemicals are known carcinogens that are not only harmful to the baby, but to the parents as well. Don't just go for it. Because they labeled it organic, not all the organically labeled mattresses are organic. A quick check through our reviews would help you to know which is organic and which one is not. Waterproofing is an excellent quality that should come with your mattress. You ask why? Waterproofing prevents absorption of liquid into the mattresses. This quality alone eliminates the risk of germs and pathogens that might spread through this medium. Another benefit of this the cleaning aspect. Waterproofed beds are very easy to clean, unlike their opposite counterparts. Some waterproof labeled mattresses may still allow drops of water to seep through. Make sure you do your proper research before you discover the waterproof label on your mattress is just a sales gimmick. Read customer reviews, ask questions, that way, you may help yourself from getting disappointed. Get a proper firm mattress for the babies too; they need it as much as you do. That is why getting organic mattresses are great. They are safety compliant without putting your babies into more challenges. Make sure your mattress is flame resistant when you get a mattress for your baby. ​There are several other things to consider for example the mattress fabric cover. Get a soft, breathable one. Also, make sure the mattress has the proper density and size. It will make a comfortable bed for your baby. It wouldn't be nice to spend all those money, and they end up with unpleasant mattresses. They wouldn't talk, but you'll definitely see it. Que: What mattress type is better for newborn babies? Ans: In as much as we would always advise you go the organic way. Buy a crib mattress that has passed several regulatory, safety and performance tests. The GreenGuard certification is among others. Also, it ensures you get a lightweight mattress. An adequately firm one with enough breathability. Make sure it is even waterproofed. Be sure it does not have any of those toxic elements we have been yelling about in the mattress reviews. Que: Is it okay to buy a used crib mattress? Ans: Usually, I would go against that. There are many strings attached to this. Infants and children expel fluids from their bodies through a lot of ways. Buying a used mattress which you've not known how it was used may put your baby in a risky position. Does that sound cool? I bet you know it doesn't. Que: This mattress with an extended warranty, should I go for it? Ans: The warranty is another thing entirely. The only durability is not all for any crib mattresses. The most important things your baby needs are the current performance, quality, and useful features of the bed. Go for only those that will help your baby and you. Que: ​Is it true that new crib mattresses reduce the risk of SDS? Ans: This is true in its entirety. Used mattresses are often soft while new ones are firm. The soft mattress may have to conform to the body shape of your baby while the new ones do not. Now assume the baby is sleeping with the face on the bed. It may lead to suffocation which is possible to cause Sudden Death Syndrome. Try to avoid this; buy the crib mattress especially organic. Que: I feel like organic mattresses are over-hyped, is it right? Ans: It is always like that for cutting-edge technology. There are still lots of advocates that you feel like you're being bullied into it. But looking at the high benefits these things can give to your children, along with the peace of mind that you get, they are worth more than the hype. Que: If you will advise me, which crib mattress should I go for? Ans: I'll personally advise you go for the Newton Wovenaire crib mattress. It is organic. So far for this year, they seem to have been the elite crib mattress. Getting any other one from our list also would give you significant benefits. Your minds will be free from the thoughts of the dangers of these chemicals. I feel they are 100% natural crib mattress. By now, you have noticed how our wonderful and life-saving organic crib mattresses could be. We've seen all they have to offer and how they can do it in the crib mattress reviews. These are the great organic mattresses that eliminate the ills associated with standard foam mattresses. Even an adult should not be exposed to such dangerous chemicals. We never can tell how detrimental they could be to a developing infant. Right now, I feel like the optimum investment you can make for your child is to get a bed that would not just make them comfortable, but will also ensure they are not exposed to dangerous chemicals. Make a decision today for the best organic crib mattress, and you'll only have yourself to thank. Now that, you have got the right crib mattress for your baby. I presume that you have already got a right crib too. However, if you want to know more about the crib, just click on My Baby Cribs. After having the mattress, your next target is to find some Baby crib bedding sets for boys and girls.